Farmers are stretched to the brink and they are effectively laundering money in the form of subsidies directly from the federal government to the few remaining multinational companies that control our food supply. Corporate interference is creating modern day feudalisim. Genetically modified food is infiltrating non-genetically modified seeds and creating a dangerous experiment with our food. Monsanto just doesn’t seem to have any conscience. Watch the movie and tell me if you disagree. Can you patent life that can replicate and is out of your control after the first generation? Who is responsible when the “patented” life form infiltrates another farmer’s crops? Apparently, the farmer is now infringing on the patent. Wow! Because of these issues and many others such as unbridled pesticide use, my family chooses to vote with our wallet and buy as many organic and local products as possible. However, these issues scare me immensely and I have never gone away from a film feeling more disturbed about the state of our nation and the potential problems that could very easily arise from our current agricultural system. You should have hope though. The organic market has risen from only a couple billion dollars in the mid 90’s to over $24.6 billion in 2008 which was a 17% increase over 2007 (food increased 5.8%). We have some great groups right here in our backyard as well. 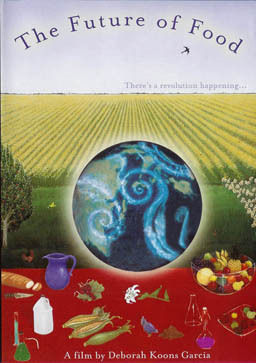 Georgia Organics is one of the largest grassroots organizations of its kind in the nation. According to the Atlanta Community Food Bank, Atlanta has over 150 community gardens. There are many farmer’s markets and most grocery stores have an expanding health food and organic section. When you can, you should vote with your wallet.